In the October of 1963 these words were penned by a young Bob Dylan as the title song to his album of ‘64. Now 55 years later these lyrics are still being applied to situations, issues and protests of all kinds and in all countries around the globe. The famous anthem is often used when the Government is asked to ‘sit up and listen’ to the swell of opinion amongst the population. It can be applied for certain right now and is being driven forward again by UK citizens of any age but particularly by those looking to live independent lives away from the nest of their parents. Every generation has its ‘thing’ or issues to feel strongly about and we now have an accepted group name for a swathe of our people to use in the media. I am of course referring to GENERATION RENT. Below are the lyrics from the first verse. Could Bob be talking to .GOV, Landlords and Letting Agents here? Between now and the Spring of 2019 is the time to start swimmin’ as the waters grow around them. Those that don’t prepare will sink like a stone for the times they are a-changin’. The government have finally realised that the vast majority of the young and even those approaching middle age rely on landlords and agents to provide homes for them to rent and the rentals sector will only increase. The pressure brought to bear by Generation Rent has forced the government to act and to bring in legislation that gives more ‘power to the people’. So, it’s entirely logical that some landlords will not cope with the new rules and legislative measures which are now being implemented to protect tenants in their homes. There will be less landlords owning and managing the rental stock. It’s also entirely logical and very likely that the big brands in the lettings world will protect themselves and their shrinking revenues, caused by the LETTINGS FEE BAN, by swallowing up turnover and profits via acquisitions of smaller independent and more vulnerable agents. So, there will be less (but bigger) agents working with fewer landlords to manage fewer properties , in the short term, as some dwellings will be branded unsuitable until Housing Health and Safety issues are fully remedied. At VeriSmart, we need to work out how we also must react to these changin’ times. If we believe that there will be fewer but much bigger agents, each working with an expanded number of landlords through acquisitions, then we must gear up to be able to work on a truly nationwide scale so that our personnel are in place wherever the big brands have an agency. These ‘supersized’ agents will undoubtedly require a standardised national service from one or perhaps just two providers of inventory and compliance services. Right now in the UK there are literally hundreds, if not thousands, of independent inventory clerks working with a handful of clients and each providing reports in their own style and to their own standards. In other words, agents would currently need to deal with multiple and dissimilar providers wherever they can find them and that is becoming totally incongruent with the way our industry is moving towards high quality reporting on not only inventories but across the board on risks around FIRE, LEGIONELLA, CARBON MONOXIDE, ENERGY EFFICIENCY (EPC), PORTABLE APPLIANCE TESTING (PAT). Also let us not forget the new regulations for ALL shared properties to be treated as HMOs and of course all of the general reporting on Housing Health and Safety issues. The good news for us is that we foresaw much of the above and started to talk about all of the extra services that we would ‘one day be asked to provide’. Two years on and our predictions are all coming to fruition. Our personnel are already being trained to meet the new demands of agents and landlords across the UK so that they can stay legal and tenants remain safe in their homes. In certain areas Verismart are also seeking to absorb some of the independent Inventory clerks, into our national army of clerks, our aim is to upskill them via our industry leading training programme. 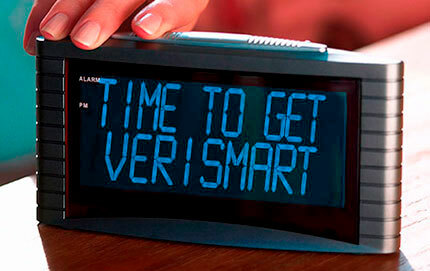 Those that recognise that agents and landlords just want to have peace of mind, and to become compliant after one visit for a fixed price, are invited to contact us via www.verismart.co.uk/ or e-mail our New Franchisee Advisor on pl@verismart.co.uk . By adding services we create growth and make LANDLORDS LEGAL - TENANTS SAFE.